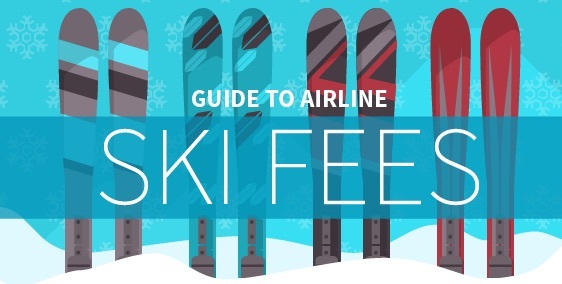 Skyscanner has done some research into the cost of carrying ski equipment on numerous airlines and put together this handy infographic to show the comparisons. They examine whether ski equipment can be carried in the hold as normal luggage, if there are associated charges or if, like Swiss, ski equipment is permitted free of charge in addition to your normal baggage allowance. One thing we also think is worth considering is checking the price for Business Class. In some cases, and if you’re smart with your booking, the cost of an upgrade to business class isn’t that much more than the cost of the ski carriage and, perhaps a drink or a meal at the airport, but business class will often allow you a much bigger baggage allowance and provide free food in the lounge, as well as the priority boarding and security checks. It’s also worth checking the small print of your chosen airline. In some cases, if you buy business class in only one direction, you retain the baggage allowance on the return leg, if not the other perks, even if you’re in Economy.